As products and solutions abound in disaster recovery and business continuity, New Zealand businesses need to think strategically when investing their dollars and avoid many of the common mistakes made by their peers. “DR and BC are often still a significant cost to the business – there is more awareness of the value at an executive level – and capability in this space for critical systems is often assessed by business auditors,” says Arron Patterson, CTO at EMC NZ. “Traditionally disaster recovery or business continuity has been expensive, complex and difficult to justify as an add-on to a backup product. We are now seeing the new range of real-time recovery solutions that deliver backup, recovery and disaster recovery in a single integrated solution. This, therefore, makes it exceptionally cost effective," says Greg Wyman, VP Asia Pacific at StorageCraft. "New Zealand is one of the most virtualized countries in the world, which also helps to make DR and BC easier. We are seeing more and more of our partners like Plan-B, Oxygen, DRGroup, and so on set up local DR sites for their customers," he adds. As companies invest in DR and BC, they are finding that there is no lack of solutions for both back-up and restore options in the market. “Many factors determine which technology is most appropriate. Most medium and large organisations have replaced tape back-up technology with modern real time back-up solutions based on WAN connectivity and replication, as well as data synchronisation techniques. "That may include file level replication, block level replication, storage level replication, data deduplication, application quiescence, muti-tiered application replication, site replication, bespoke vendors solutions and cloud DRaaS integration,” says Grant Neilsen, business continuity manager, IT outsourcing at Unisys APAC. He adds that backups are of no value unless they are full backups that can be restored in a timely manner. "Tivoli and Convalut are two common enterprise technologies that we are seeing used in New Zealand," he says. “For most business organisations, all applications and data are not equal. In view of their business impact, some merit much greater investment in disaster recovery while for others, they may tolerate lower standards for recovery," says Scott Meddings, technology strategist at Symantec. "New Zealand businesses have to keep in mind a number of decisions when considering implementing their data restoration technology. This includes the recovery point objective (RPO) – the moment in time, before the disrupting incident, that you restore to; the recovery time objective (RTO) that establishes the amount of time it takes to restore operations; whether one can use one product to backup cloud and on-premise virtual clouds," he says. The variety of solutions available in the market are also reflected in varying spending patterns from NZ businesses when it comes to investing in DR and BC. “The increasing uptake of government IaaS services has influenced agency spending patterns. The Government IaaS Service catalogue includes backup and replication services, and we have seen agencies choose to adopt service provider infrastructure and processes rather than purchasing hardware themselves. "We are also seeing that companies are sweating their capital assets for longer, and that a five-year support contract is fast becoming the default as opposed to three years in the years before," says John Eastman, technology sales director at Oracle NZ. “There is a shift toward services as organisations gain confidence with service providers and hosted delivery models, with a shift from capital to operational expenditure. This approach also simplifies operations and removes the need to focus on retaining technical skills, allowing the organisation to focus on its core business,” states Neilsen. “As customers become more concerned with doing more with smaller budgets, they are looking to solutions that require less interaction and are simpler to maintain. This is driving less complex backup solutions that offer complete data protection across multiple platforms," states Meddings. He says customers are starting to look towards managed backup solutions and cloud providers to reduce storage and management costs or leveraging point products that cloud providers have integrated into their cloud environment. "Standardising complete data protection solutions allow customers to do more than backup. It offers a more complete disaster recovery strategy, reduce costs and meets SLAs more effectively,” he adds. With the plethora of choices and methods available for BC and DR, companies are taking a strategic approach to constructing and implementing a plan and methodology that works for them in their organisation. “It is absolutely critical that our firm be able to continue operations in the event of an emergency situation, whether that situation is a wide reaching natural disaster or a localized problem such as a fire. The firm maintains a Business Continuity Committee (the BCC), consisting of a variety of people from across the firm, that meets monthly to discuss incident readiness and plan incident response. The BCC looks at business continuity from a holistic perspective," says Craig Columbus, CIO at Russell McVeagh..
"Like most companies, we take the expected technical precautions, such as geographically distributed data replication with both online and tape archive available and we plan for alternative business operations. We also spend considerable effort on making sure that we are ready to handle the human component of incidents. I have been through multiple critical incidents in my career and I can tell you with absolute certainty that people must come first in any DR/BC response. “Suffice it to say, everything we implement is implemented with high availability in mind. Our power is either redundant or generator backed on separate feeds. Our networks run on geographically diverse mesh architectures. All infrastructure components are chosen with high availability in mind. Data is replicated between sites and tapes are stored at offsite vaults. We invest heavily in DR/BC capability because we know that when things get tough, we must be there to support our clients," adds Columbus. An equally strategic approach is adopted by Andries van der Westhuizen, group IT transformation manager at the Stevenson Group. “DR derives from the BC requirements of each business unit and secondly depends on the shared infrastructure behind the scenes. Ninety plus per cent of all servers are virtualized and relatively easy to restore. All critical and essential servers, firewall and switch configurations are backed up as per the back-up policy defined for each. “A few times a year servers are selected for a test restore to ensure that the server and applications on those servers can be restored as per the Business Continuity requirements. Test restores are done from tape to an environment build from scratch and separate from the current domain,” he says. While their technologies and practices may vary, they all agree that change is a constant in DR and BC. “DR/BCP is a process, not a destination. We are constantly changing our approach and adapting to both business needs and new technological innovations," says Columbus. “One area that we are watching closely is cloud storage. The generic concept of the cloud, or XaaS, at its current maturity level, is not a great fit for our environment due to security concerns that are specific to our industry. "However, we are looking at ways we might be able to leverage cloud storage for some of our long term archive needs. The biggest issues are around data encryption frameworks and the ability to quickly retrieve the data when necessary. We are evaluating alternative archive solutions because we are seeing massive data growth in our firm and it is very expensive to invest in high end archive storage systems," he adds. Van der Westhuizen says he is in the process of reviewing his company's storage, virtual hosts and file server, which will include a review of DR.
“It is important in DR planning to show the RTO and to what state the recovery need to be at RPO to determine the time and effort it take to restore critical services on an individual base. However, all these individual service restorations need to be combined into a project plan that clearly shows dependencies. “We are considering the use of a hosted solution for storage and the virtual hosted environment and will compare that with an on-premise solution,” he adds. While some companies like Russel Veagh, Stevenson and NZMA show a careful and planned approach to DR and BC, not all New Zealand businesses enjoy the same amount of guidance or business outcome tie-in. This is especially so with small and medium businesses. Vendors are quick to share several points where businesses make mistakes with their DR and BC, and also provide some tips on how they could potentially correct them. “Information is the lifeblood of many companies," says Eastman. "However, traditional approaches to business continuity have tended to focus on recoverability of the supporting infrastructure in the shortest timeframe, without adequately considering the integrity of the information and processes that this infrastructure supports. "Happily, we are now seeing an increasing awareness in our customers of the necessity to approach BC from an information protection perspective whilst also being mindful of network impact from increasing volumes of data." “They don’t test the solution before they purchase," says Wyman, "I strongly advise any prospective customer to deploy and test the solution before you commit to purchasing it. If it requires days or weeks of implementation services, it is probably the wrong solution as it is still too complex. Your next recovery is only as good as your last tested backup. Testing should be fully automated and should not require any manual intervention." Meddings says some of the biggest mistakes made by businesses include having no understanding of the data they are backing up, using another point product when changing to platforms like public clouds or private clouds, using backup as an archive, not leveraging all of the advanced features in the latest versions of their existing solutions, installing and maintaining the software themselves if an appliance form factor exists and confusing backup and recovery with business continuity. 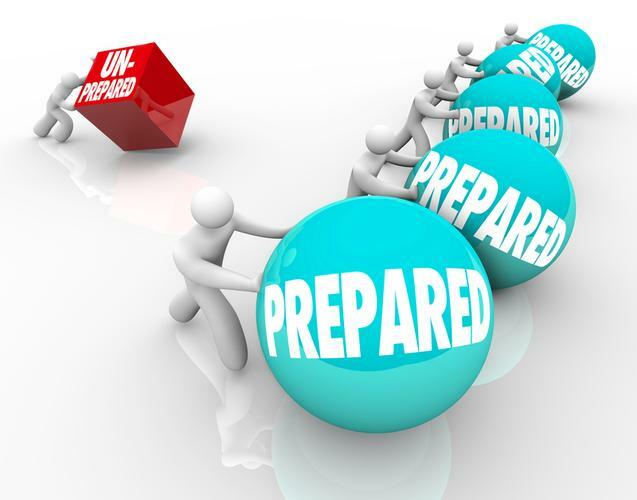 “It is far more realistic to plan to adapt – so that you can adapt to whatever happens. Being robust only protects against known threats. Better to also be resilient so that you quickly respond to unexpected threats,” adds Unisys’ Neilsen. It is inevitable that more firms will move towards cloud storage or hosted BC and DR options in the near future. “Since the 2011 earthquake, local companies have been signing up for cloud services out of necessity. Today the conversations we have are not about explaining cloud computing, or if it's a good idea, but how it can work best for our customers,” says Darryl Swann, MD of Computer Concepts Limited (CCL). However, the story is changing even as the technologies are. DR and BC are no longer just about moving data from server-to-server, and companies will have to find that they will need to adapt at multiple fronts to keep ahead of this game. As Symantec's Meddings puts it, “For their business to function smoothly in a crisis, New Zealand IT managers should not only focus on the infrastructure, but also investigate how that infrastructure maps back to the business. Both the business and IT need to have clear processes and solutions to provide a broader view of the business environment that incorporates business requirements. “We recommend that NZ businesses should invest in a hybrid model including both on-site and off-site options and consider data recovery as a service. The combination of cloud-based archiving and DRaaS will allow virtualization in the cloud, which will in turn ensure the reliability of recovered data and systems. “They should also keep in mind that the growing usage of mobile and the growing BYOD trend facilitates the continuation of IT operations and business processes after disaster strikes. “Like mobile, social networking is another way of keeping business going especially during a disaster. During natural disasters, social networking lets people communicate with each other without over-burdening the compromised IT system,” he concludes.